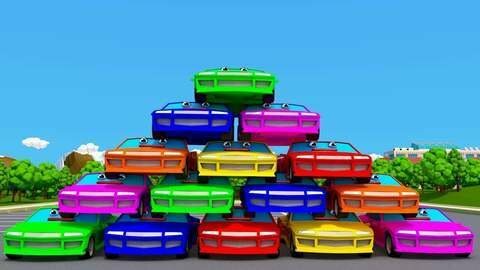 Watch white and orange racing car in this fast-paced but fun educational video, free to watch online now for kids! In this fast-paced but fun and educational 3D car cartoon, white and orange racing car is driving down the street. He is met with a box, and the only way round is to smash through! Different colored shapes emerge! Which colors and shapes? Find out at SeeZisKids.com!